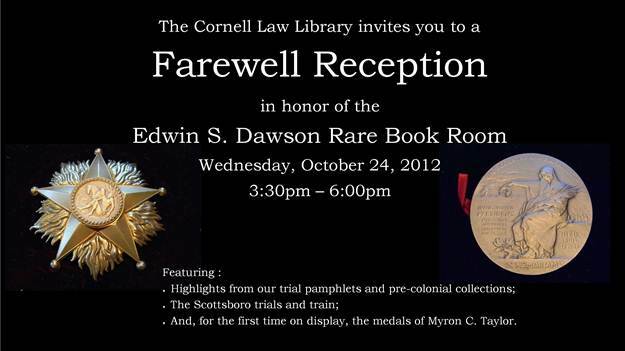 While we’re looking forward to the new classrooms and entrance that the law school’s construction project will bring, the project also will bring an end to the Edwin S. Dawson Rare Book Room at Cornell Law Library. To celebrate the life of a wonderful room, we’re having a farewell reception next Wednesday, October 24. Come see highlights from the collection, including the medals of Myron C. Taylor, the Scottsboro train, and some wonderful nineteenth-century trial pamphlets and other print special collections. Is it a “Good” Case? Can You Rely on BCite, KeyCite, and Shepard’s to Tell You?